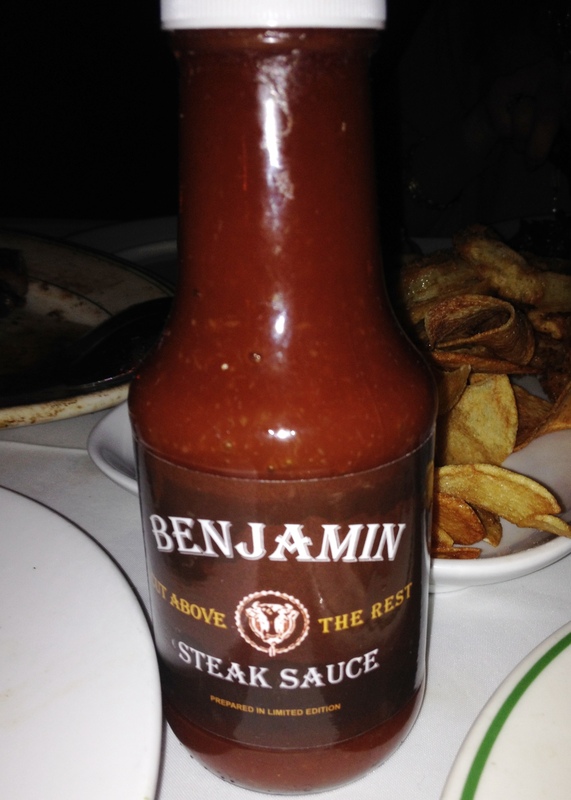 I had the wonderful opportunity to visit Benjamin Steakhouse on a lovely winter evening. I dined with my husband and another couple and even though it was a Sunday night the place was quite busy. 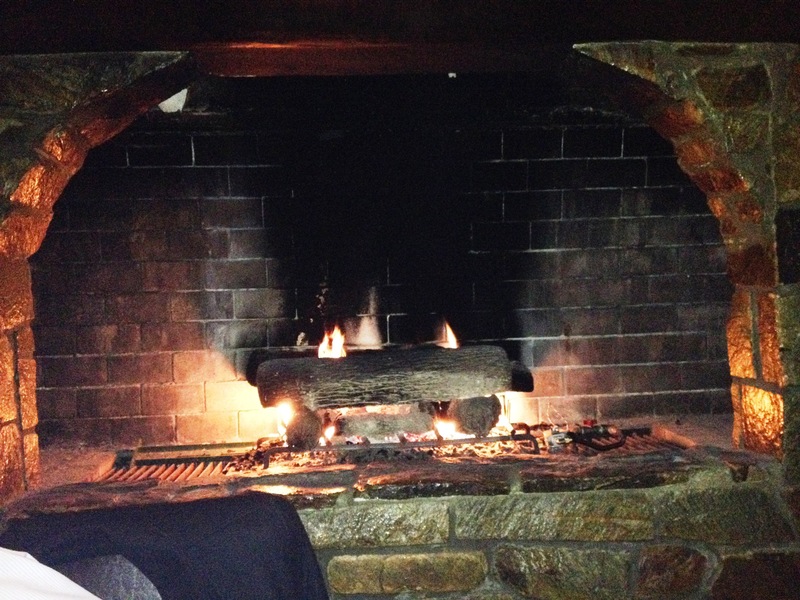 We were seated next to a roaring fireplace that brought instant warmth and charm to this top notch and beautiful restaurant. From the moment you walk in the door you are greeted in such a way that it feels like home. Everyone is genuinely nice and wants you to have an amazing meal and dining experience. The four of my party decided to share a lot of dishes so that we can figure out what specialties we liked best. There were so many items it was hard to choose. 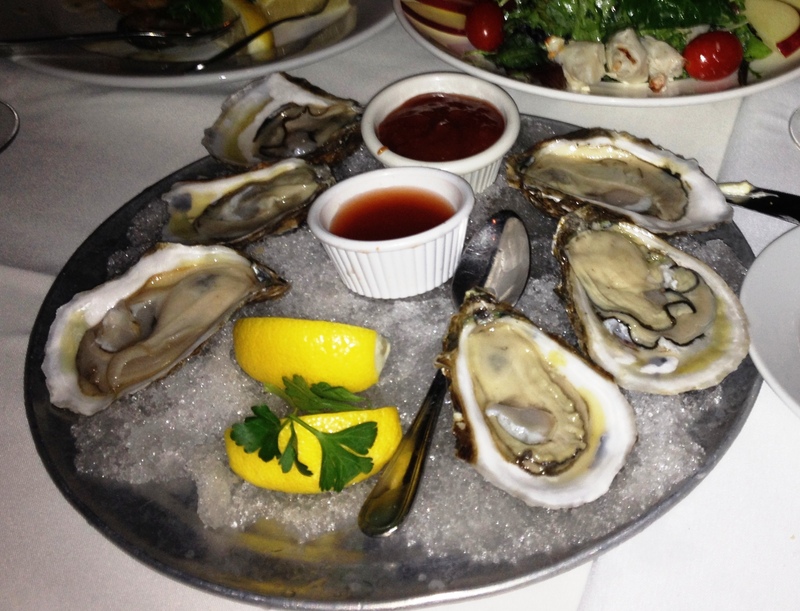 I had to try a lot of seafood appetizers as it is my favorite thing to eat. We had clams oreganato, oysters, lump crab meat salad , crab cakes, shrimp cocktail and lobster bisque soup for everyone. We couldn’t believe how delicious and fresh everything was. The lobster bisque is amazing and really hits the spot. I tasting everything and have to say I felt like I was in a specialty seafood restaurant. I almost forgot the restaurant is called Benjamin Steakhouse which leads me to the next part of my meal- the amazing entrees. 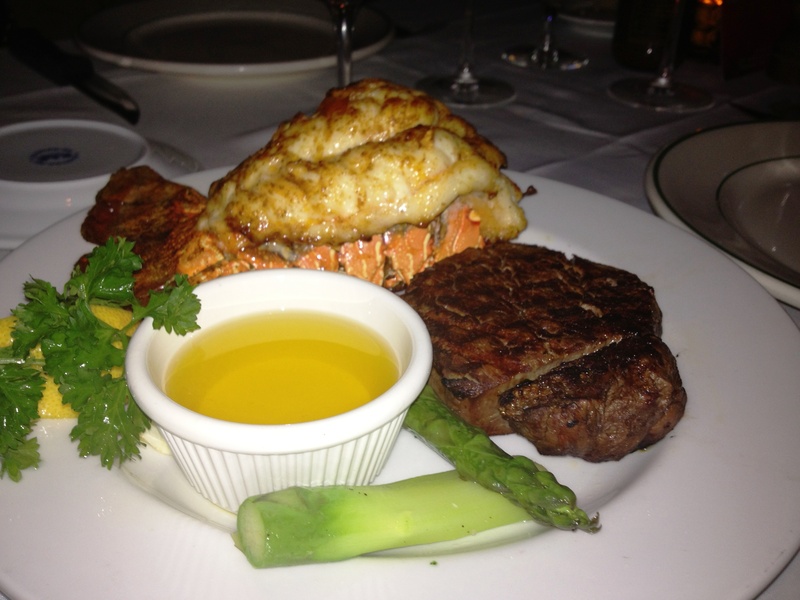 I had to choose surf and turf which included a nice size filet mignon and a lobster tail. The steak melted in your mouth and the lobster tail was so juicy and luscious that the drawn butter given on the side was not needed. I ordered spinach and potatoes for the four of us to share. Everyone else ordered different cuts of beef and we loved it all. The porterhouse was amazing I was told. If all this food wasn’t enough we had to order different desserts to sample. Cheesecake, fruit platter, red velvet cake and key lime pie. A great ending to a perfect meal. What I took away from this wonderful dining experience besides culinary excellence was a staff that works so hard at trying to please in every way and making sure everything is perfect from start to finish. 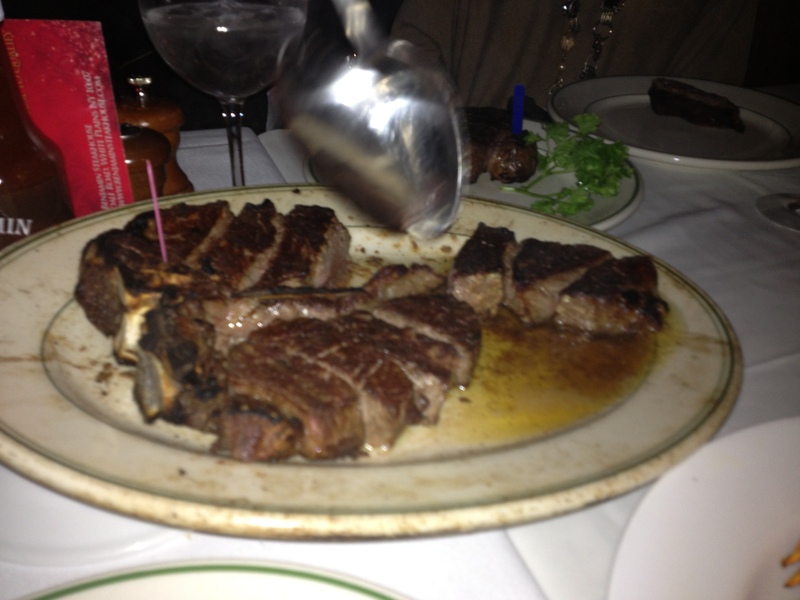 It is no wonder that this restaurant was named best steakhouse by Westchester Magazine. Don’t miss this special place! 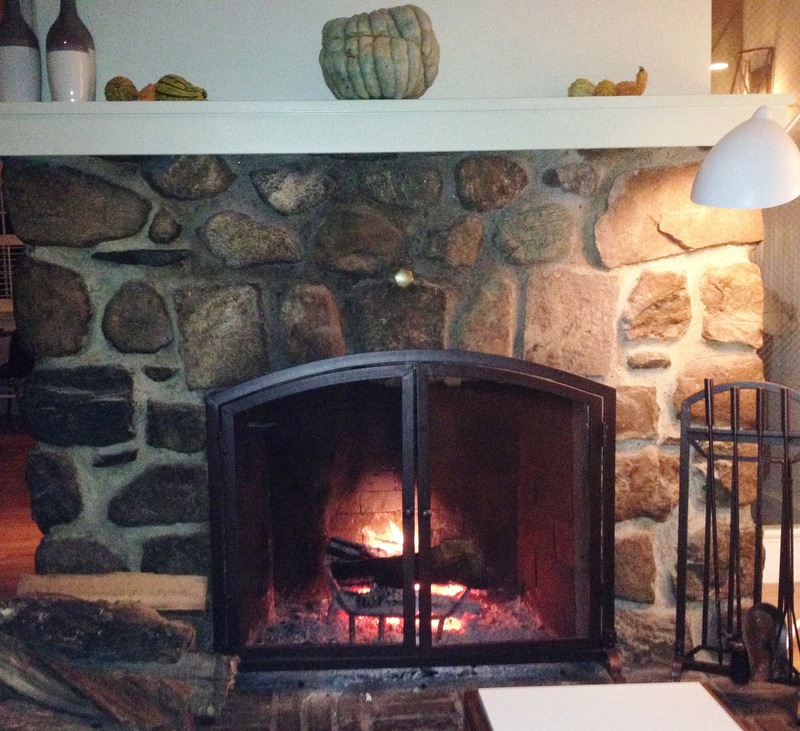 I visited 121 Restaurant on a chilly night and was immediately drawn in to the warmth of this lovely restaurant with its soothing tones and roaring fireplace. The bar area is quite busy with a large marble top and subdued lighting. I was quickly taken to my table which was set in a modern country upscale design. I was able to see the chef and other cooks through a glass wall as well as viewing a wood burning pizza oven . 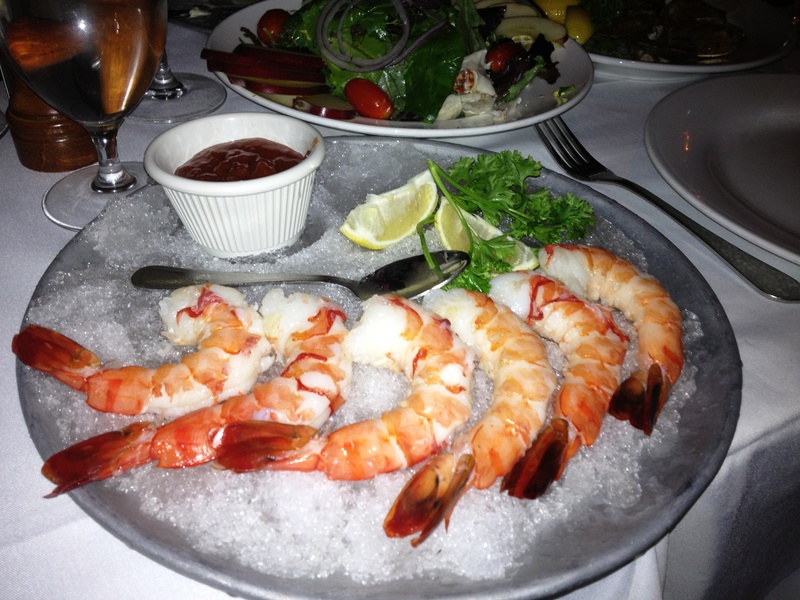 I dined with my husband and we decided to try many items to get a good feel for the tastes and specialties of the house. We began with chaffed cauliflower, squash toast with homemade ricotta cheese, and tuna tartar with crispy avocado and wasabi vinaigrette. All very good especially loved the squash toasts. We then both had the butternut squash soup with maple cream. Delicious! We shared the wild mushroom pizza with three types of exotic mushrooms and fresh mozzarella cheese. So fresh and tasty. The wood oven pizza makes all the difference.
. We loved this entrée. We also shared the crispy fried chicken with potatoes. Don’t let the name fool you. 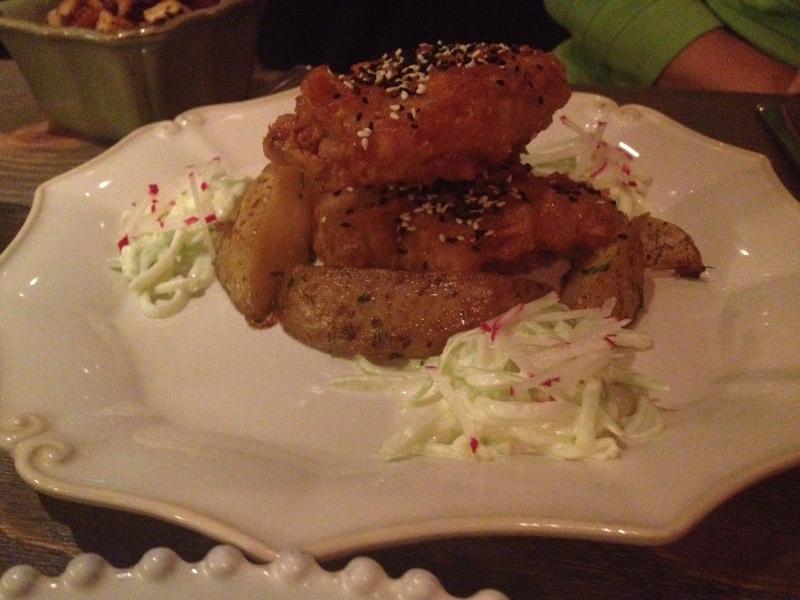 The dish is more like a light tempura batter with juicy flavor inside. This had a nice soothing taste. We ordered root vegetables for a side dish and loved this assortment of comforting veggies. 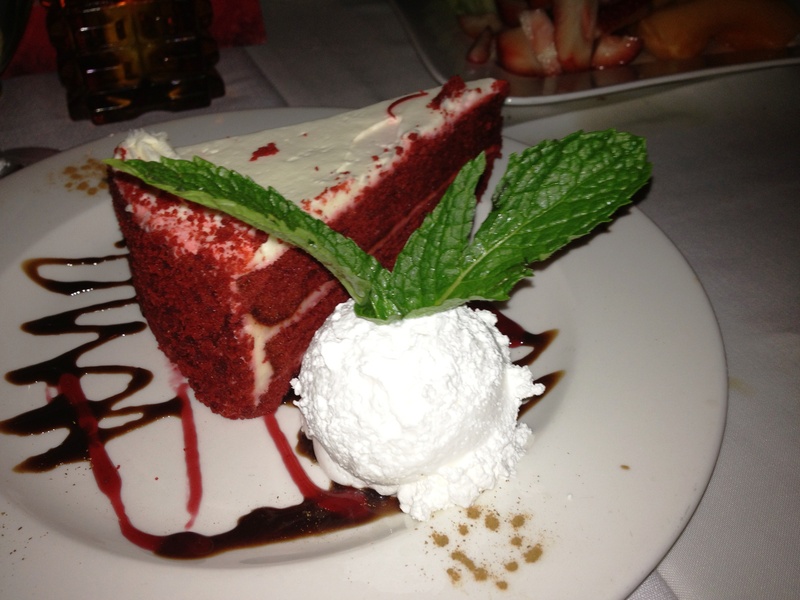 No meal would be complete without a special dessert. 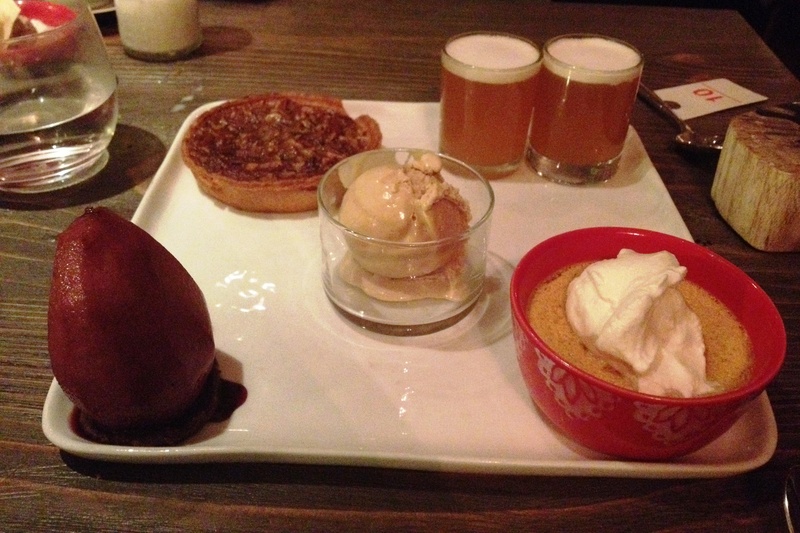 We picked a dessert for two which consisted of homemade hot apple cider, warm pecan tart, poached pear with hazelnut ganache and pumpkin pots with fresh cream. This really was a nice ending to a perfect meal. The desserts will vary seasonally. 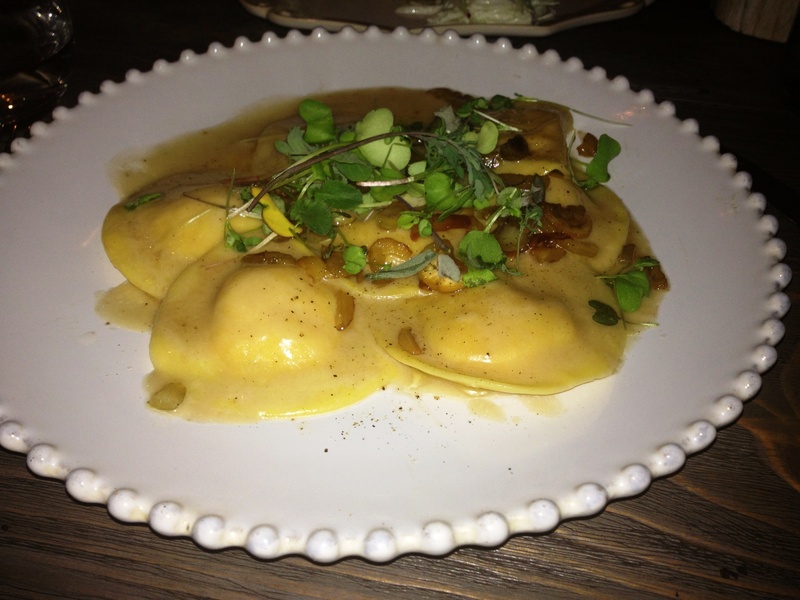 The menu focus in on locally sourced and seasonal ingredients from Hudson Valley farms and purveyors. 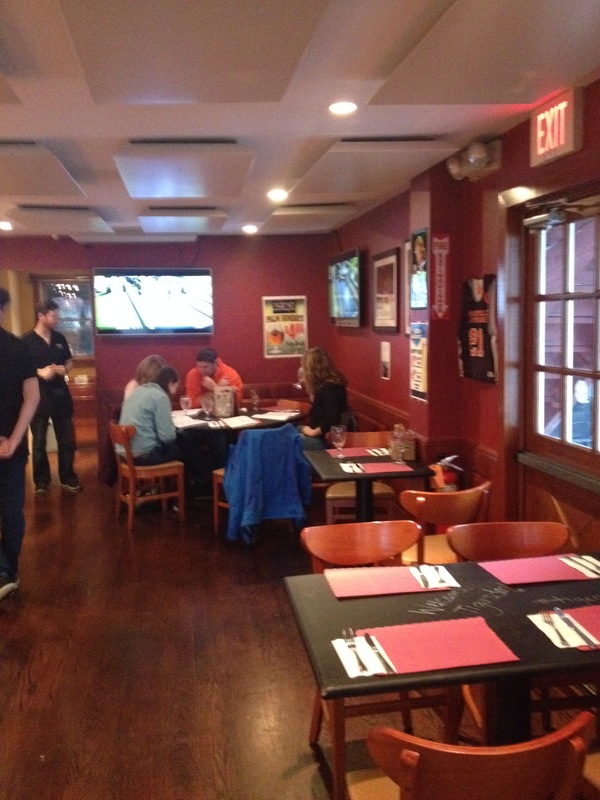 For a fun casual place to eat with family or frie nds try Tiger’s Den Sports Bar and Grill in Ridgefield Connecticut at 25 Catoonah Street. This restaurant has a lively vibe with 11 big screen televisions to see a large amount of sport games. I went on a Sunday afternoon with my family and was greeted by a very friendly staff. We tried a variety of items on the menu and enjoyed everything very much. We began with three types of boneless wings. The first with peanut Thai sauce, then the Jamaican jerk rub and lastly the honey garlic sauce. All were really good but I especially liked the Thai peanut sauce as this is quite unique. I ordered a crock of beef chili with melted jack cheese and found this with just the right amount of spice and heat. 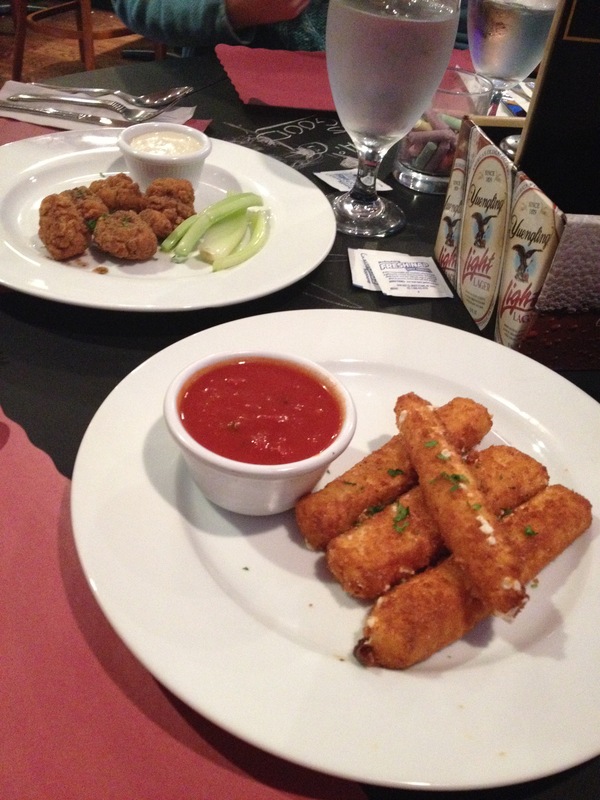 My daughters loved the homemade mozzarella sticks with marinara sauce. I ordered the grilled chicken sandwich as an entrée . 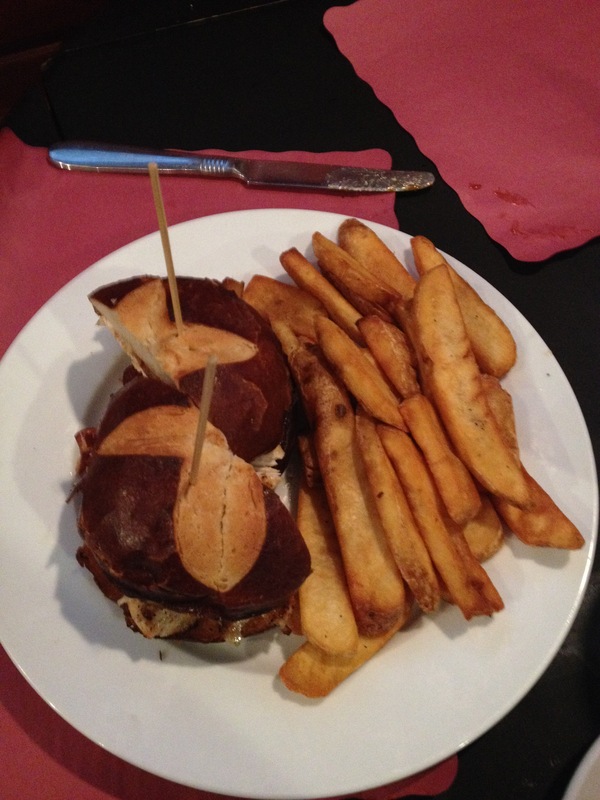 Not your typical sandwich.The pretzel roll was amazing! It had cheddar cheese and applewood bacon. I would come back for this alone. Delicious! My husband had a burger with bacon and cheese. Really good. A trio of sliders was devoured by my daughter as well as a very good grilled chicken wrap with honey mustard, tomato, arugula and bacon ordered by my other daughter. All included yummy steak fries. There is live music and weekly events as well as daily specials on food and drinks. I noticed a psychic coming on Thursday nights which I thought would be a fun event to attend with friends. There is a private room upstairs with its own bar and two TVs, one with a projector and large comfy reclining leather chairs. This room can be rented out as well for private parties. I would highly recommend this new and nice place to eat or have a few drinks.